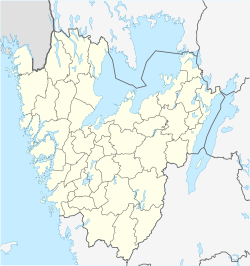 Stenungsund is a locality and the seat of Stenungsund Municipality, Västra Götaland County, Sweden with 9,987 inhabitants in 2010. The annual long-distance sailing competition Tjörn Runt starts in Stenungsund. Archaeological excavations in Stenungsund in 2006 discovered a site of Iron Age burials (1st - 3rd century AD), notable for the unusual presence of Roman ceramic artifacts. Stenungsund was the host of the Tug-of-War championship in 2008. Wikimedia Commons has media related to Stenungsund. This page was last edited on 7 February 2019, at 11:34 (UTC).